Members of the U.S. Conference of Catholic Bishops’(USCCB) Committee on Migration, including those who celebrated Mass at the US-Mexico border in Arizona on April 1, will travel to Capitol Hill on May 29, 2014 to urge lawmakers in the House of Representatives to act on immigration reform legislation. They will be celebrating a special Mass for Immigrants and Immigrant Families. Please join them on Thursday, May 29th at 8:30 AM at St. Peter’s Roman Catholic Church, 313 2nd Street SE Washington, DC (Capitol Hill neighborhood). The Mass will be offered for immigrants and their families who are being subjected to separation because of our broken immigration system. Archbishop Thomas G. Wenski (Miami), Bishop Eusebio Elizondo (Seattle), Bishop Oscar Cantu (Las Cruces, NM), Bishop Gerald Kicanas (Tucson), Bishop Ricardo Ramirez (Las Cruces, NM), and Bishop Martin Holley (Washington, D.C.) will co-celebrate. If you are tweeting, the hashtags for the Mass are #MassontheHill and #Mission4Migrants. 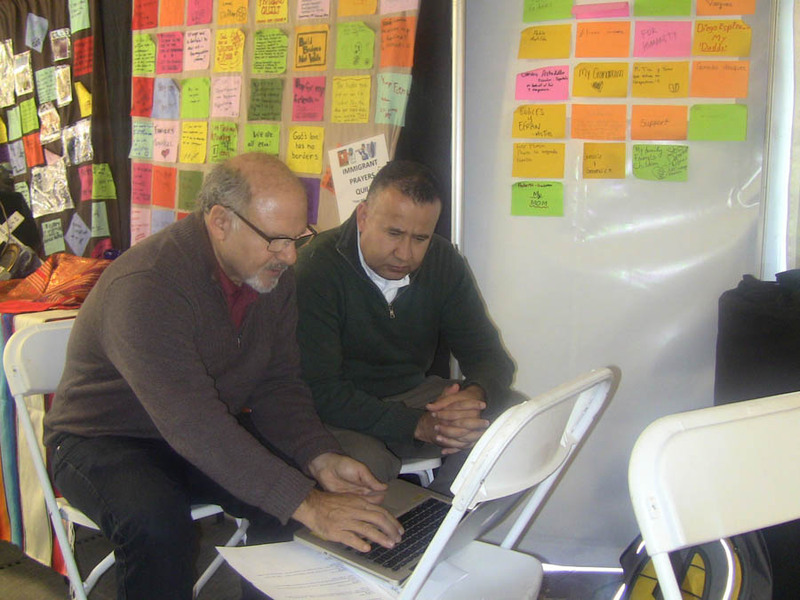 As a way to raise public awareness and pressure Members of Congress to pass Comprehensive Immigration Reform legislation, Fast4Families has a group of ten people fasting in a tent on the National Mall, just a few yards away from the Capitol. 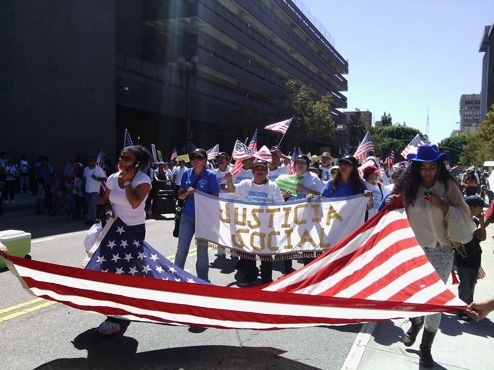 Besides fasting, this group of people is also holding meetings with political leaders and community organizers, and organizing activities to encourage more people to press for immigration reform. “We hunger for an end to the system that brings so much suffering and pain to so many. We are fasting not out of anger or despair, but out of hope”, said Eliseo Medina, one of the ten people who are fasting. On Wednesday, November 20, Fr. Antonio Ponce, OMI and JPIC staff were able to drop by to show support to those who are fasting, and help the staff with some translation. 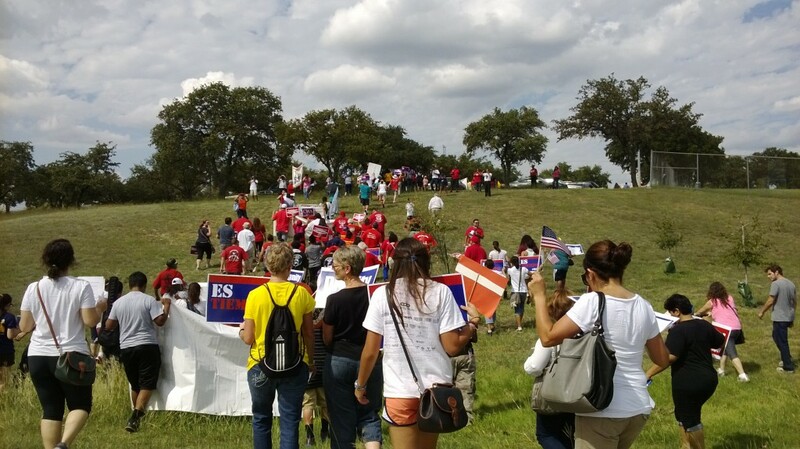 The immigration march last weekend in San Antonio went well despite a lot of competition from other good causes!! About 300 people turned out to call on Congress to pass a Comprehensive Immigration Reform bill. An interesting march is planned for San Antonio on October 16 and 17. People will walk 30 miles through Rep. Lamar Smith’s district, taking in some of the small rural areas, to try to influence his position on immigration. Other advocacy actions are also being planned. Thanks to OMI JPIC Committee Member, Patti Radle, for this information! On October 5, more than 80 major mobilization efforts – rallies, vigils, pilgrimages, and direct action – will mark the National Day for Dignity and Respect. 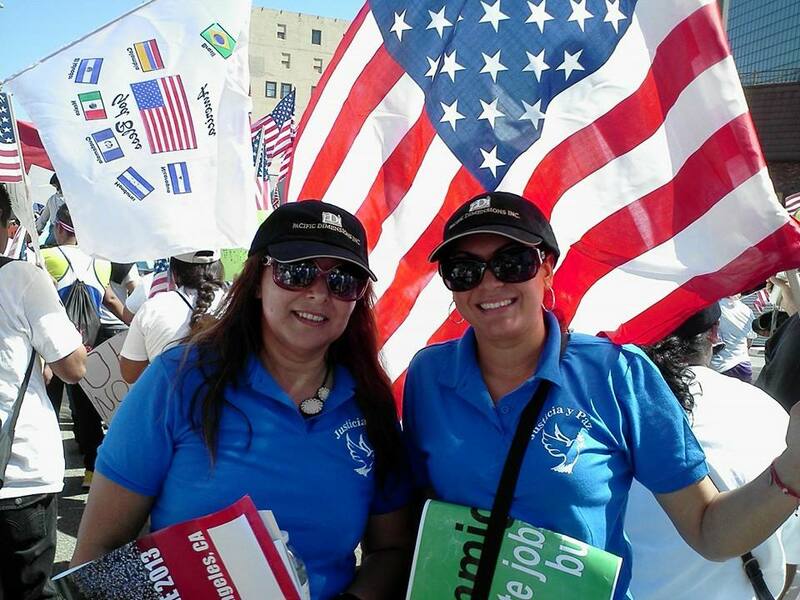 A broad coalition of immigrants rights groups, people of faith, labor and civil rights groups are working to send a message to Members of Congress that now is the time for comprehensive immigration reform. Boston, MA: Copley Square 12:00 pm; Time and Location may change. 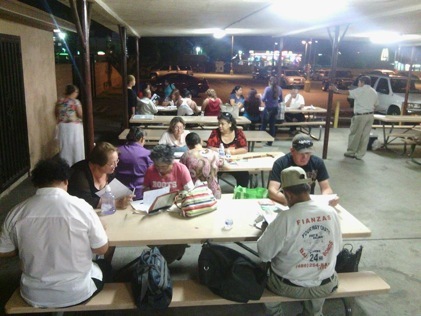 Visit www.octoberimmigration.org for more detailed information and many additional locations. On October 8, tens of thousands are expected to bring these efforts to Washington DC with a rally on the National Mall. If you plan to attend any of these events, please share your experience and photos with the JPIC office via OMI JPIC Facebook and Twitter.